An impressive and unforgiving desert landscape, a ‘greatest hits’ of African wildlife, centuries of history coming alive in German colonial towns and lost shipwrecks…all this and more tells the story of a fascinating nation. Welcome to Namibia. Late spring to early fall (May to October) is the best time to visit Namibia The country is hot, sunny, and dry pretty much year round (though parts of the north do see some rain between November and April). You should be prepared for some cooler temperatures at night, when it can even drop below freezing at times. 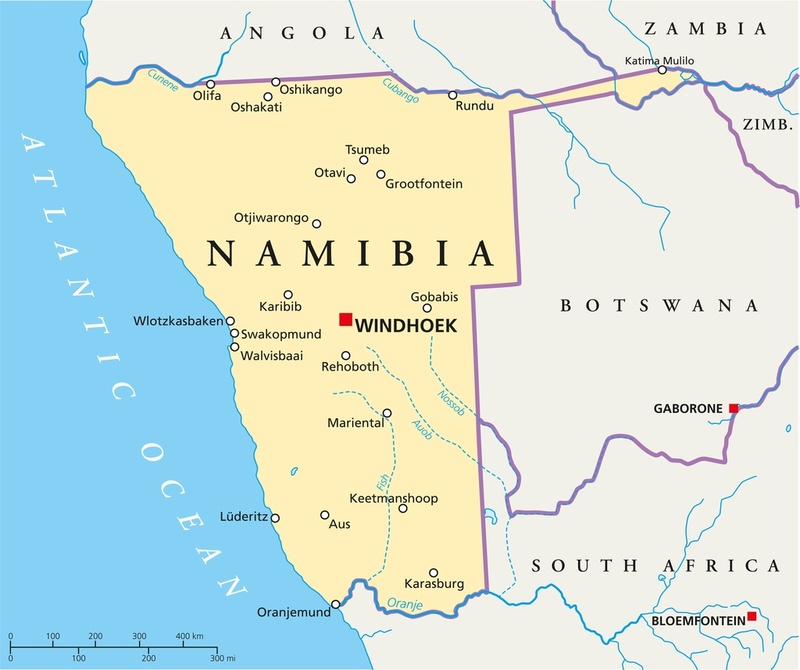 Namibia is located in southern Africa and borders South Africa to the south, Botswana to the east, and Zambia and Angola to the north. The entire western border of the country is a long Atlantic Ocean coastline. How do I get around Namibia? Namibia is a large, barren, and sparsely populated country – and this makes it somewhat difficult to get around. Public transport won’t help much when it comes to exploring outside the cities. But you might be surprised how well maintained some of the roads are (even gravel ones), so renting your own car and setting off into the desert is the best (and really only) way to properly explore Namibia. English is an official language of Namibia and is the most widely understood and spoken across the country. 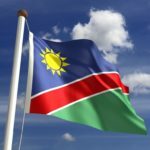 Many Namibians speak local languages as their primary tongue, but you’ll be able to get by fine with English – making Namibia one of the easiest African countries to travel to for Anglophones. Namibia’s capital defies expectations from the minute you arrive. 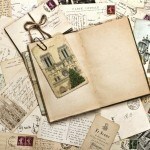 While not exceedingly large, it presents a clean, calm atmosphere that is great for exploring. You’ll find a mix of new modern architecture and classical German buildings – making Windhoek one of Africa’s most interesting cityscapes. That’s not to say the city is all window dressing. You’ll find ample shops, cultural sights, and restaurants to visit – all of which add to the increasingly cosmopolitan outlook. Heading out into the suburbs reveals a different story, with less affluent communities seemingly a world away from the city centre. 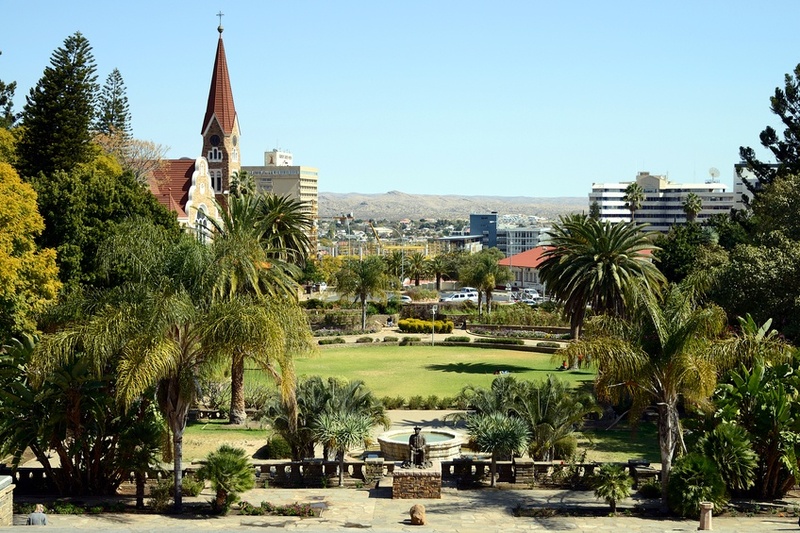 Still, Windhoek is a great first look into the modern face of Namibia and a good way to start your adventure. 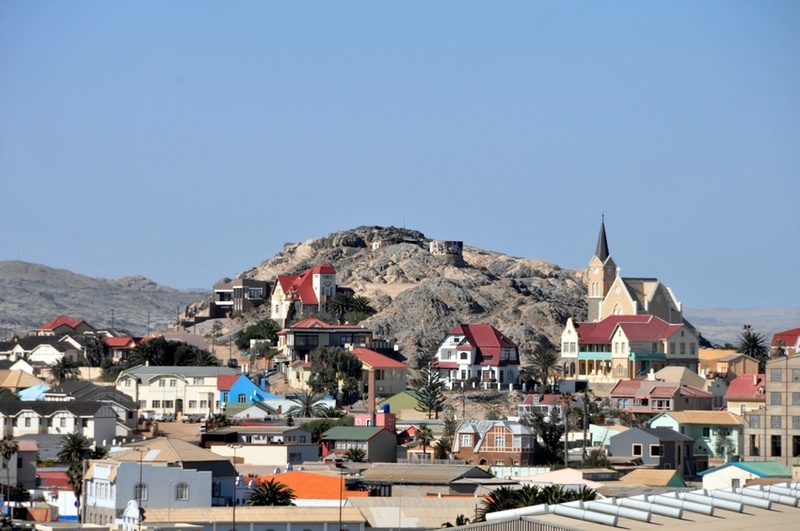 Located on the harsh southwest coast, the town of Lüderitz might just be one of the most unique settlements in Africa. The setting alone is impressive enough, as strong coastal winds combine with the vast Namib Desert to give the town a feeling of “who was the first to decide to live here”. Lüderitz itself is renowned for preserved colonial architecture – as the town wouldn’t be out of place in rural Germany (except for, you know…the desert). 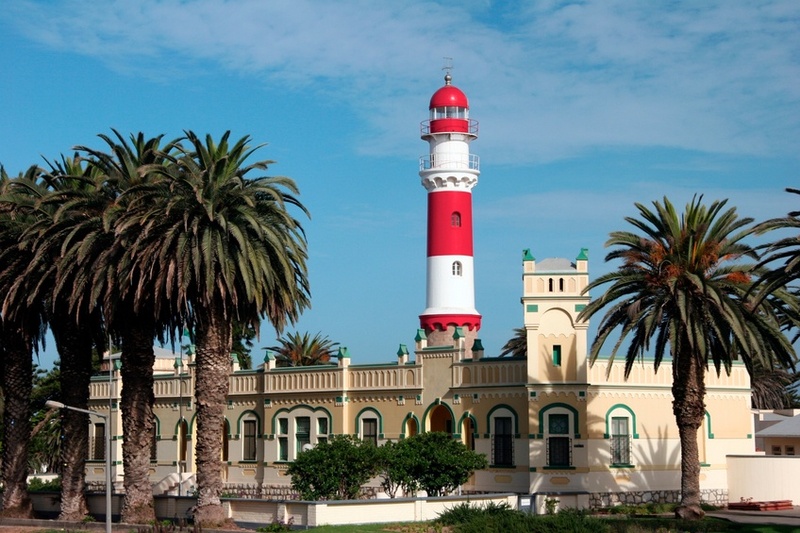 While there is a distinct feeling that Lüderitz is trying to cling onto a bygone era, this only makes a visit all the more intriguing. Be sure to take some time to explore nearby Kolmanskop, a former diamond mining settlement that is now a Namib Desert ghost town. Namibia’s coast isn’t all ghost towns and time capsules … which brings us to the resort city of Swakopmund. Also located where the Namib Desert meets the Atlantic, the city is the premier holiday destination in the country – with great beaches, fishing, and adventure tourism available in spades. Like Lüderitz, the city features a large amount of German architecture. Indeed, you can still hear German spoken throughout (both by residents of mixed ancestry and tourists from the European country itself). Definitely worth a look if you want to enjoy some of the more familiar tourist haunts in Namibia, it doesn’t hurt that the setting is a hugely impressive coming together of ocean views and large sand dunes. Okay, so we’ll admit that the name ‘Skeleton Coast’ doesn’t sound very appealing. You could always use the early Portuguese name instead…As Areias do Inferno (or ‘The Sands of Hell’). No? Anyways, this stretch of coast got its morbid name due to centuries of shipwrecks in the treacherous waters (in addition to the bones of many whales and seals). For those sailors that made it ashore, they were greeted by the vast and unforgiving Namib Desert…and you can guess where this is going. Still, the Skeleton Coast is a fascinating side trip, with many rusted shipwrecks half buried in the sands along the shore. It’s a brutal and barren land, but remains a place unlike any other – and a must-see if you’re up to it. Arguably the most famous attraction in all of Namibia is the dunes at Sossusvlei. With some rising over 300m high, they make a strong case for Namibia having the world’s most photogenic and interesting environment in the world. 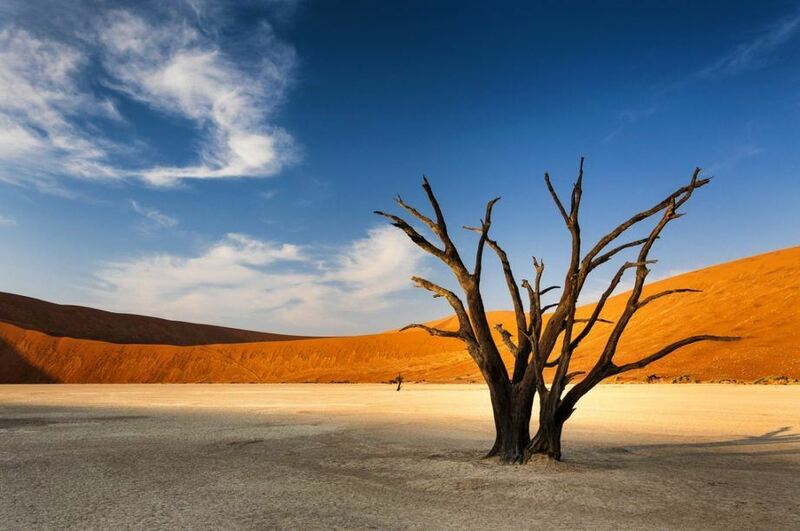 Nearby clay pans like Deadvlei (meaning ‘dead marsh’) really drive home the point of how harsh an environment this is. There’s little else we can say, but once you see the light hit the dunes or the sand shifting with the winds for yourself, you just might find yourself lost for words as well. The stunning landscape of Namibia might garner a lot of the (deserved) plaudits, but the diverse wildlife is just as impressive…and nowhere is there a better place to get up close and personal than Etosha National Park. A mix of barren desert, grasslands, and (after some rare rainfall) a thriving lagoon – Etosha is mecca for lovers of African animals. Join a safari, post up next to a watering hole and you’re likely to see the entire cast of the Lion King (including hundreds of extras). Flights to Namibia are not cheap, but not too expensive either, with a round trip between Toronto Pearson and Windhoek starting at about $1500 Canadian. 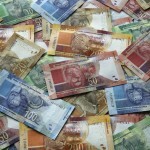 If you plan on visiting South Africa as well, you may be able to save a bit of money by flying there first – however you’ll have to pay your way north to reach your final destination. It’s tough to nail down a price range for Namibia, however you can expect daily expenses to average out to about $109 Canadian a day (including $46 for accommodation and $9 for food). You’ll likely need to shell out some extra money for gas, park passes, safaris, and other similar expenses if you really want to get the most out of Namibia – however driving yourself around can also save if you’re thrifty. Travellers with a penchant for penny pinching can keep prices down to around $73 a day, however you’ll pay closer to $208 a day if you shell out for luxury. While there is no nationwide advisory for Namibia, the Canadian government does recommend a high degree of caution due to the crime rate. You should be aware of petty crime (as usual) however violent crime is also a danger especially in Windhoek. If you’re driving outside of the cities you should be very careful on the roads (especially gravel ones). Despite the barren landscape, road conditions are generally pretty good – but poor lighting, animals, and limited assistance necessitate safe practices. For more on travel safety, check out the Canadian Travel Advisory for Namibia. You can learn more about Namibian history and culture in the Country Profile as well as the Namibian dollar in our Currency Spotlight.